The typical definition of a vaccine describes how a vaccine usually contains a biological agent that resembles a disease-causing microorganism in a weaken state so that when introduced in the human body it can develop anti-toxins for this form of organism and build up its immunity for the disease. The flu vaccine fits this definition perfectly because we have identified the microorganism that causes the flu and we can create a weaker form of the flu which is used as the vaccine. Essentially, the vaccine is a weaker dose of the actual microbe that causes the disease. Vaccines are a huge business, with even a bigger potential. First, even though to create vaccine is relatively easy there is a state sponsored oligarchy of big pharmaceuticals that get FDA approval to create specific vaccines. 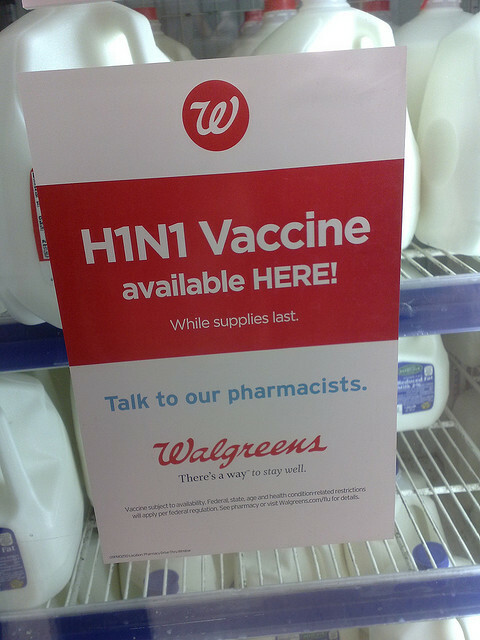 Also, since vaccines are usually a preventive measure it is easy to suggest people to take them if marketed correctly. The number one issue people have with conventional flu vaccines is that they are traditionally administered via an injection. But since the big H1N1 flu scare of 2009, vaccine makers have introduced oral and nasal vaccines. With the introduction of new administration methods drug maker have found new application for vaccines, such as cocaine vaccine and alzheimer ‘s vaccine. Cocaine addiction is classified as a disease but not one caused by biological microbe organisms like the conventional flu. So you can deduce that the cocaine vaccine is not a vaccine but a market position for a new drug. Drug companies have learned that in the general population has been trained to vaccinate their children without question for any and every possible disease. So labeling a cocaine addiction drug as a vaccine helps the marketing push of the drug. Basically drug companies have co-opted the word vaccine for their pursuit of the bottom line. Expect to see a whole new set of drugs labeled as vaccines to address anything from obesity, shopping addition, gambling habits, smart energy, and performance enhancement issues. There will be a vaccine to address just about any anti-social personality trait, habit, or behavior. There will be an Farmville addiction vaccine, a don’t do homework vaccine, a hangover vaccine, a body order vaccine, etc. People already spend billions in preventive medicine and health products, everything from energy drinks, to memory stimulants, muscle building supplements, vitamins, and more. There is a huge market if you can develop a ‘vaccine’ for these segments. The big pharmaceuticals are marketing their drugs as vaccines because the general public has associated vaccines with preventative measure, they are constantly reminded how the polio and chicken pox vaccine has saved millions of children lives since it was first introduced. Drug companies are co-opting the word vaccine to invest in a new set of preventative drugs to address anti-social traits, habits, and behaviors in people from compulsive shopping to cocaine addition. This entry was posted in BlogMouth, Business, Thinking, viral and tagged addition, alzheimer, cocaine, corporate, farmville, fda, flu, h1n1, microbe, pharma, swine, vaccine. Bookmark the permalink.